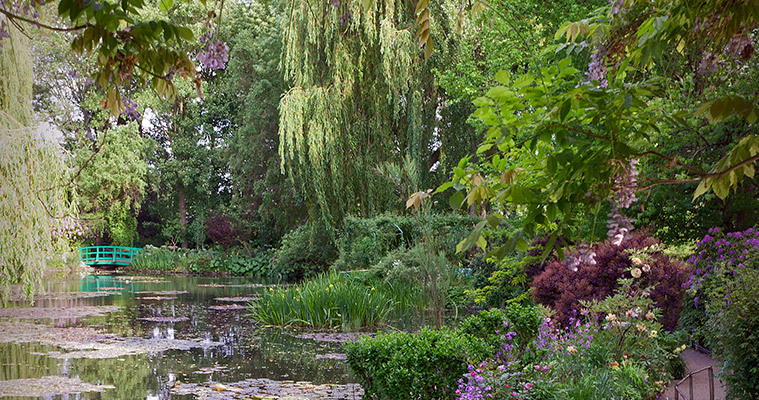 The House and Gardens of Claude Monet is the beautifully restored home of the painter Claude Monet, who is the founder of French Impressionist Painting. Claude Monet lived in this place from 1883 until his death in 1926. 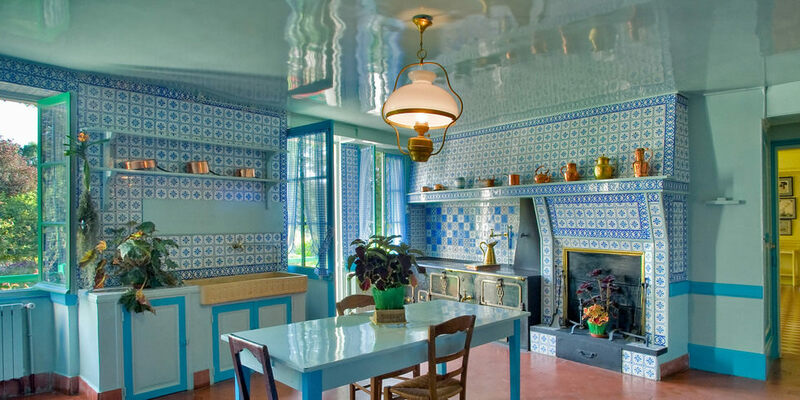 Many of his paintings are painted in Giverny, the village where his home is located, especially in his own gardens. The French artist drew inspiration from his home in the village of Giverny in Northern France from 1883. Visiting his house and gardens today— now the Foundation Claude Monet Museum—you can see the Japanese bridge, waterlilies, and weeping willows that were the subjects of some of his iconic paintings. Inside the house, rooms have been restored to their 19th century condition, just as they were in Monet’s time. The yellow dining room and blue kitchen are particularly memorable, one entirely furnished in bright shades of yellow, the other in tranquil blue. Monet’s studios are complete with reproductions of his paintings, and bedrooms are also open for public viewing. Claude Monet discovered the house in Giverny, Normandy, while looking out of a train window during a trip from Vernon to Gasny. He immediately fell in love with the place. 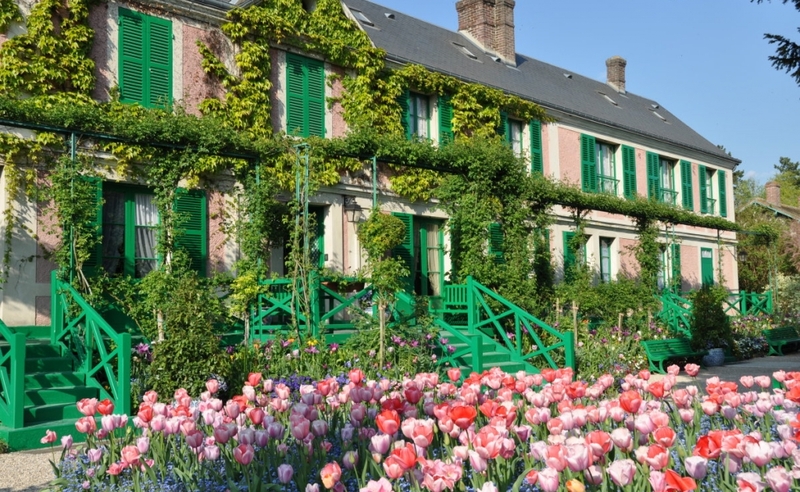 Monet rented the house where he would spend the rest of his life in May 1883 and immediately begun to create the garden in front of the house, which is called “Clos Normand.” In November 1890 he was able to buy the house and the land. In 1893 he purchased another piece of land, back then behind the train tracks that run at the edge of the property. Here he created a water garden, the “Jardin d’Eau,” with the famous water lily pond. Claude Monet supervised the renovation of the house himself. He made sure that the colors of the house and its interior were matching the colors of his palette. He chose a bright pink for the outside of the house and had the windows, doors, and shutters painted in a bright green. 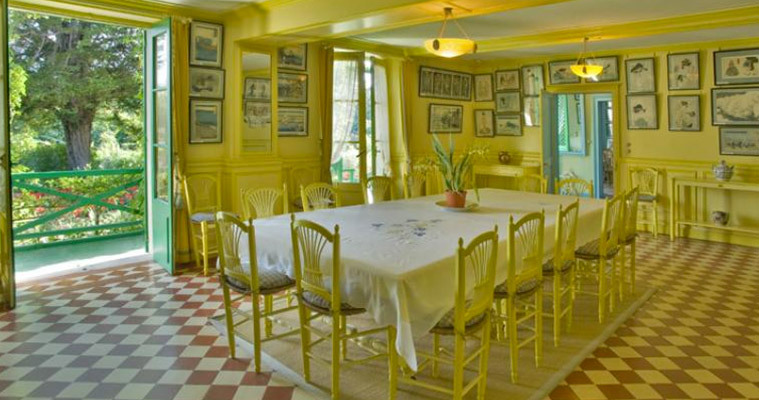 The dining room was painted in a bright yellow and the main color in the kitchen is blue. On the walls are many of the Japanese prints that Monet was fascinated with and collected. Many of the rooms are open to the visitors, including the salon, the dining room, the bedroom, and the studio. Monet was also passionate about gardening. When he created the Clos Normand he transferred all his knowledge about color, light and perspective from his paintings to his garden. The main path of Clos Normand is covered with metallic arches on which roses grow. Straight lines and groups of colors dominate the whole garden.